Specifically designed for daytime wear, these pull ons are nearly invisible under clothing. 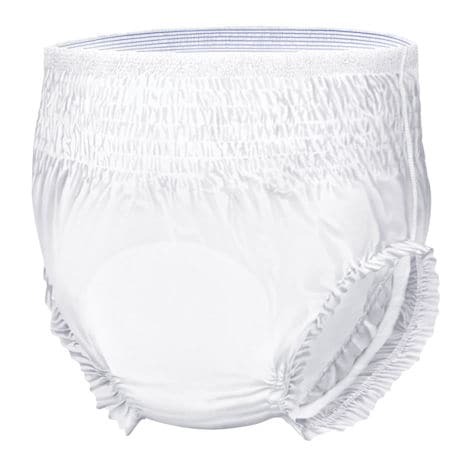 Soft to the skin with firm waistband for less movement when walking. Elastic leg bands help contain liquids, and designed to be less irritating than other pull ons. For men or women. Sizes by waist: MD (30"-42") 24 per bag, LG (40"-54") 18 per bag, XL (45"-68") 14 per bag. All have 4 bags per case.